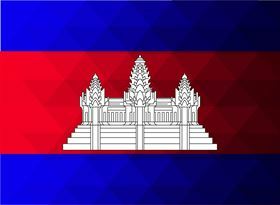 Grundfos and Cambodia’s Ministry of Industry & Handicraft are to exchange a Letter of Intent to strengthen cooperation in water management, in order to reduce the country’s cost of water and increase access to clean, quality water. To tackle Cambodia’s water challenges, Grundfos introduced a pilot project in the Takeo province using its Demand Driven Distribution solution. The intelligent water distribution system automatically adjusts the water flow using remote sensors, reducing excessive pressure in the water pipes. This in turn limits water leakages and losses, minimizing cost and energy. Chemical usage is also significantly reduced due to more data being available to ensure accurate dosage. To encourage adoption of this new technology, Grundfos has created a new business model to remove the barrier of an upfront investment. The plant operator pays for the pump system through annual instalments, which are financed by the money saved on energy and water bills through the equipment upgrade. Savings can be tracked through Grundfos’s Remote Management system, an Internet-based remote monitoring, management and reporting system for pump installations. In Takeo, the Grundfos solution and new business model helped the plant save more than 270 000 kWh in electricity and around 200 000 m3 water per year, with a projected payback period of two and a half years. Eighty three people attend Ebara Corp’s pump technology seminar at the Institute of Technology of Cambodia (ITC) in Phnom Penh.